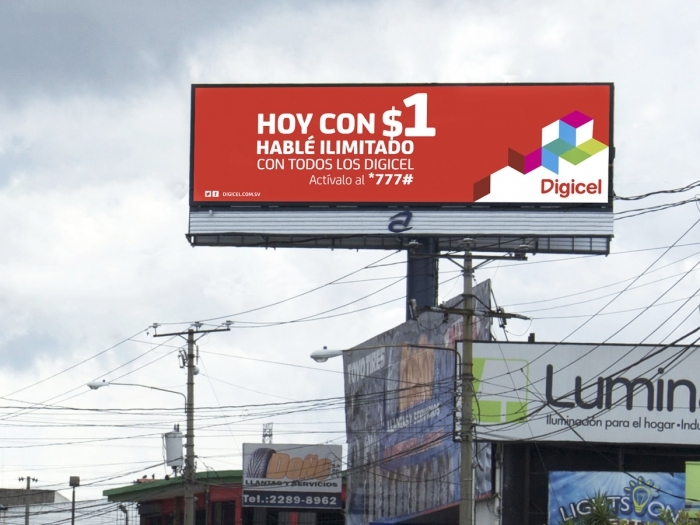 Arte Comercial S.A. de C.V. , a leading outdoor advertising company headquartered in La Libertad, El Salvador has gained access to new markets and has seen considerable growth since installing four Watchfire digital billboards, two of which are the largest in El Salvador. The four Watchfire digital billboards include two E-16mm 14' x 48' digital billboards, one True-19mm 10' x 30' digital billboard and an E-16mm 11'10" x 37' digital billboard. With customers throughout North and South America and Africa, Watchfire Digital Outdoor is a leader in the outdoor advertising industry with more customers than any other digital billboard manufacturer. Arte Comercial credits their strategic partnership with Watchfire, along with the renowned quality and reliability of Watchfire's digital billboards, with helping to grow their business and that of their clients. Arte Commercial's main business focus has always been to add value to the company's products and services for their clients. "If we concentrate on generating value for our clients, everything else will fall into place," explained Engineer Rodrigo Sol. Going digital has given Arte Comercial even more opportunities to add value for their clients with the incredible flexibility and versatility digital billboard advertising offers. According to Sol, "In the past, short promotions and advertisements were simply too expensive to put up on a billboard because of the cost of the printing. The flexibility to run messages for even 2 or 3 days has opened a totally new market for us." Once Arte Comercial made the decision to include large format digital billboards in their portfolio, Sol said that their primary focus was, "to determine how we could generate value to our clients and which company could be our partner and give us the technology and the boards that would deliver that value to our clients." Sol explained that they were specifically trying to find the best option, someone who shared their business philosophy-be the best! He added that, "We knew that if the boards needed parts or service, we could get them quickly and Watchfire could handle all of these requests." Since the installation, Arte Comercial reports their experience has been "very positive" adding that, "the reliability of the boards is incredible-they never go off!" "Watchfire's image quality is by far superior; it's incredibly crisp. We're very happy with the performance of the board and how easy it is to operate," said Sol. He added, "We've discovered there's so much more potential to these boards than we even originally thought. Clients are seeing the difference; they value the reliability, the image clarity and quick response time and so they are choosing to work with us. Our competitors are priced very cheap, so we've been educating customers that our boards are higher quality and the service is better." Sol explained some of the key differences that help Arte Comercial's clients evaluate and choose to advertise on a digital billboard-their ease of operation, reliability, high-resolution display and traffic safety features including automatic brightness controls. "Watchfire's digital billboards possess all of these qualities," explained Sol. In addition, Arte Comercial provides a team of advisers to design messages to ensure that the communication objective of each customer is met. Ease of operation has been one of the key advantages that Sol believes sets Watchfire apart from the competition. Watchfire's web-based Ignite® Online software "works really well for us and our clients." Sol added, "The billboards are very easy to access and clients can change advertisements whenever they want." That flexibility and ease of use makes an impact for Arte Comercial's clients and differentiates Watchfire digital billboards from anything that is in their market. "It makes it very easy for clients to understand where their money is going and they appreciate your investment. The quality and service are apparent. It's an excellent company and anyone who partners with Watchfire is going to see those results," said Sol, adding, "I'm so satisfied with Watchfire, because the product we received is more than worth what I paid and that value is something that I'm transferring on to my client." For Watchfire's Vice President, Darrin Friskney, Arte Comercial's success reflects Watchfire's mission to provide operators and their customers with the best possible tools to grow and expand their business. "As a vertically integrated manufacturer, we control every detail of our product-designing, engineering and manufacturing every digital billboard here at our plant in Danville, Ill. We pay close attention to every detail to ensure that we are giving operators the very best technology in the industry, so they can be confident that they are giving their customers the very best." Known for their quality and reliability, every Watchfire digital billboard ever manufactured is still in operation today. "We're excited to partner with companies like Arte Comercial, their commitment to adding value for their clients sets them apart and they are leading the digital advertising revolution in their market."